Through Petals Flowers Edmonton you are able to send a huge range of premium quality flower bouquets, arrangements, roses, and more to be delivered to Edmonton and Edmonton�s surrounding areas. Beautiful flowers delivered by local florists to Edmonton! Send beautiful fresh flowers or a gift basket to your friends and loved ones today! Petals Network can next-day deliver your fresh flowers throughout the Canada and the world. Don't forget that it's also really easy to customise your Petals order! Sometimes you might like the 'look' or 'style' of a Petals product, but not the colour scheme. Other times, you might have a preference for specific flowers to be used.. for example birthday flowers by month. When placing an order for your perfect product, search for a product that best represents the style that you wish to send (eg. a bouquet or a container arrangement), place your order, and use the 'Preference Field' located below the image of your chosen product to include any special instructions. For example: If you choose C2.3, you may wish to add "please use pink flowers" or "must include roses" to personalise your gift. 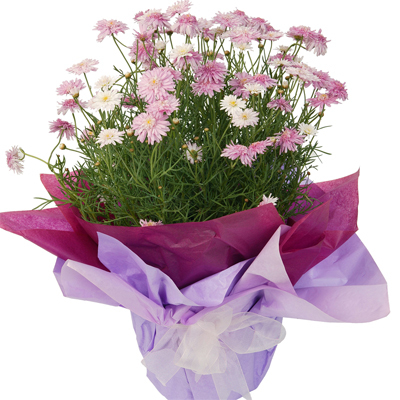 Alternatively, you may wish to place an order using our 'Florist Choice' facility. Still can't find what you're looking for or not sure what will suit best? Contact Petals for assistance! To present at corporate occasions/functions or to beautify the office reception area or foyer. We all know how good plants and flowers are for office environments... they help to purify the air, and the fact that they look so nice helps to boost everyone's mood! Why not do something different this week at work and place fresh flowers or a potted plant either in the reception area or on someone's desk? You'll notice the difference! Gift baskets and fresh floral arrangements can also make excellent corporate gifts for staff members' new babies, promotions, maternity leave, retirement, weddings... and many more occasions! Petals Network has a network of florists in the Edmonton to provide you with beautiful fresh flower delivered same day. If you want to send flowers online to the Edmonton area, We will have a local Edmonton florist deliver the freshest flowers available to the door! Need a florist in EdmontonCanada. in We have a number of florists in Edmonton. That means you can get fresh flowers delivered to Edmonton easy. Our flowers delivered to Edmonton will always be delivered by a local florist. Petals is a leading online florist in Canada. Do you want luxury flowers delivered in the Edmonton, Canada? You've come to the right place. Find the right florist in Edmonton. We have all sorts of flowers available for delivery to Edmonton. Need flowers to be sent to Edmonton? With Petals Edmonton, Canada we will have a local florist deliver on the freshest flowers available. Flowers freshly delivered by local florists.